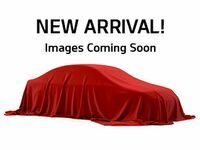 Larger crossovers have been picking up momentum in the last few years and the all-new 2020 Kia Telluride is the newest member on the scene. 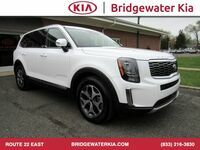 In the short time that it has been available, the 2020 Kia Telluride has been lauded by both drivers and critics for its standout styling, incredible capabilities, and awesome driving dynamics. As the new kid on the block, the 2020 Kia Telluride will be facing some tough competition from other models that have been well-liked by drivers – including the 2019 Volkswagen Atlas. Let’s take a closer look at these two vehicles so you can decide which one is right for you. What Makes the 2020 Kia Telluride the Better Buy Over the 2019 Volkswagen Atlas? All in all, the 2020 Kia Telluride and 2019 Volkswagen Atlas are very similar in size and capabilities. The Kia Telluride does offer a little less cargo space than the 2019 Volkswagen Atlas, but we do not see that as a deal-breaker. Many families find the cargo space dimensions perfect for their lifestyle with plenty of room for coolers, fishing tackle, and other gear needed for their next outdoor adventure. Speaking of the outdoors, the 2020 Kia Telluride sports an old-school SUV styling that makes it look adventure-ready. But being adventure-ready is more than just good looks. Thanks to several architectural and mechanical features, the 2020 Kia Telluride is perfectly capable of taking on the raw wilderness. And while Volkswagen is praised for its quality, you can expect to pay an arm and a leg for its specially-made German-born parts if anything needs to be replaced. Kia strives for the best quality so you can enjoy long-lasting dependability no matter if it is on the daily commute or cross-country road trip. Parts are easy to replace and are more budget-friendly, and each Kia comes with a comprehensive warranty program. 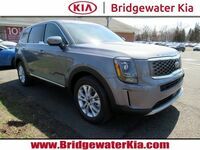 To learn more about the 2020 Kia Telluride, please visit us here at Bridgewater Kia today!